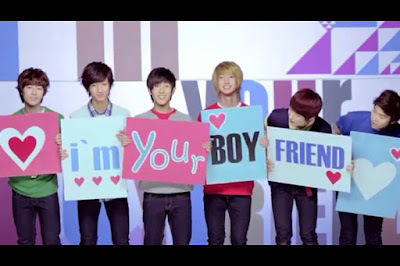 Home / K Pop Admire / "i'm Your Boyfriend"
Yeah!! It's Boyfriend! I'm your boyfriend is a lyrics actually.. The Boyfriend has a song called BOYFRIEND too! The dance are sooo cute you know..AHHH!!! Which one do you like the most? Kwang Min or Young Min?? ?